I started using SnoreLab in December 2016 because I didn’t believe I snored as badly as my wife suggested. I was wrong. When I started using the app, over the first two months, my average Snore Score was about 50 with my peak scores around the 60 mark. I have been using it ever since, and the changes I have made now mean that my average is 26 with scores seldom over 40. 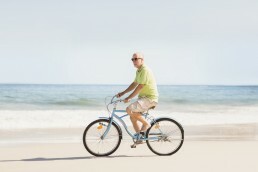 At 70 years old, I’m generally very fit and a very active cyclist. I’m interested in health matters so I can continue to be this way for many more years. That being said, I suffered from acid reflux and have asthma. I’ve now got these and my snoring under control, with the remedies and techniques I use serving to help all of them together. 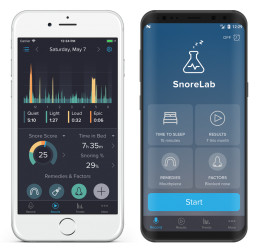 Using SnoreLab over the last two years, I have taken many small steps to arrive where I am now, making sure to monitor these steps on the app. I apply all the usual sleep hygiene tactics to ensure I don’t go to bed exhausted and have as good a night’s sleep as possible. I have elevated my bed head by eight inches, a remedy originally to treat my acid reflux which has worked a treat for both that and my snoring. To help with my asthma, I also use Breathe Right nasal strips every night. Keeping my nose open has also helped to reduce my snoring. I use a small inflatable camping pillow, about half the size of my normal pillow. I blow it up to just short of its maximum so it is very firm and difficult to roll on to and push this inside a normal pillow case all the way to the end which leaves a tail. Sleeping on this tail stops the camping pillow from rolling away whilst propping me up and stopping me from rolling onto my side. If I want to get onto my back it’s quite a struggle and doesn’t happen by accident. This trick combined with the nasal strips and bed head elevation have really helped my snoring and I can hear the difference in SnoreLab. 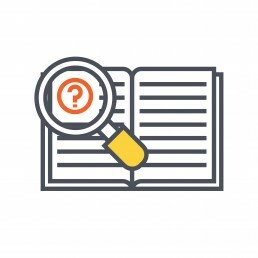 All of our user stories are genuine accounts from SnoreLab users. If you’d like to share your experience about using SnoreLab, we’d love to hear from you. Please contact us on support@snorelab.com or get in touch on Facebook or Twitter. In the interest of the privacy of our users, names and pictures may be changed. We use the wording quoted to us by our users but may make small stylistic changes.